Fascinating facets and shimmering light will dress up your living space when you add this lamp to your side table. 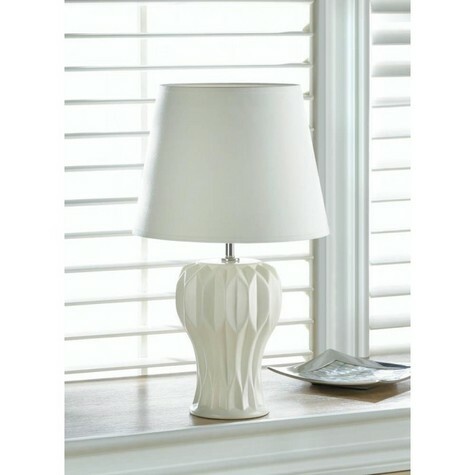 The white ceramic base features a cool geometric pattern and shapely curves, all topped with a fabric shade. LED E26 (60W) light bulb not included. Dimensions 10.8" x 10.8" x 18.2"